A'Design Award and Competition reaches a wide range of people by its numerous publications and pr campaigns. Published in three different versions, the ResultBooks display top content recieved for the competitions. Once a year, the main categories will have their design books published, the works are selected from the runner-ups. Also yearly, we make top of top YearBook with winners and top 10 from each of the categories. Custom competitions are also made into books that provide niche content for design lovers. The books are always printed in HardCover and they are also available online as E-Books. A'Design Award and Competition communicate all the winners to a wide range of Magazines, Newspapers, Newsmagazines and Publications of Trade Fairs, Associations and Companies. The coverage is worldwide and the magazines we reach for each category differ. We also send a trend-report for magazines in addition to statistics and designer information, our aim is to provide unique content for press. There are thousands of magazines, newspapers, editors, writers etc in our press database. A’ Design Award & Competition, in collaboration with DesignPRWire and DesignerPress publishes several design inspiration and trend books focused on distinct design fields including Architecture and Interior Design, Graphics Design and Industrial Design. The design inspiration and trend books highlight and underline the current and upcoming trends in design, arts and architecture, and could be used as a guideline by other designers and creators to develop new projects. The team of A'Design Award and Competition, in association with Salone del Designer and Association of Design, publishes winners in their news pages. In addition, the staff also communicates the winners to worldwide popular blogs, and provides tools for communication to the designers. The designers are also given badges to put in their websites to indicate the quality of designs. Furthermore, winning designs are communicated to online press, a special press pack is prepared for the winners where they can download online. A'Design Award and Competition reaches an even greater audience in social networks, in addition to fan groups and pages, we are also advertising the winners with cpc techniques. We do not ask for any additional funding for advertising the winners, this is a service given to all winners for free. The aim is to reach like-minded people that take design as a center element in their lifes, design enthusiasts and lovers. For each category, A'Design Award and Competition advertises the winners in search engines, this is done free of charge as a favor to all winners. We prepare special pages for the winners so that the advertisement links take people to the tailor fit pages. Primary aim is to reach companies that would be searching for designers or design companies to develop new products or to reach editors who are seeking for content to feature in their publications. For each category, A'Design Award and Competition creates a newsletter to interested parties mainly consisting of design editors, curators, architects, designers, journalists, academics, marketers, reporters, editors, blog owners, columnists, product managers and developers, ceo of design oriented companies, companies relevant to the particular categories. For each category, A'Design Award and Competition creates a trendletter that defines the latest trends in the design, this information is communicated to all the press with the intention to provide returns for the designers and winners. If you wish to receive our trendletters, please visit our press portal and register your publication and apply for press accrediation. Checkout this section to learn more about different online channels and our design-media list; i.e. a list of all high-profile design blogs and magazines in the world, that we keep in touch with. Furthermore see the banners and advertisements we use for publishing through these channels. You can download our banners to display at your blogs or magazines if you have available advertising space. 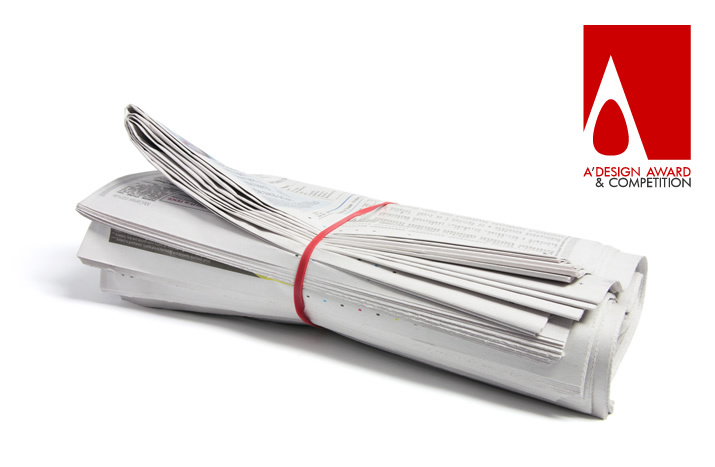 View a list of select media appearances and articles published about A' Design Award & Competition, A' Design Award Initiatives and A' Design Award Winners. From the list of articles, click on an URL to read the full article or visit the publication webpage or view the publications' profile at A' Design Award and Competition. If you wish to have your magazine added to this list, please register to our press portal. This is a small list of publications relevant to A' Design Award Categories, we keep in touch with these publications and let them know about the award winning projects and products. Each publication usually focuses on a specific subject, covering articles and award winning works. These publications have a star rating that relates to the design-content likeliness of the media. A' Design Award and Competition PR department brings together and reaches thousands of design related publications to promote award winning designers, brands and institutions.